In OS X, Spaces allows you to have multiple desktops running on the same machine. For example, I like to have one desktop running a browser and my Twitter app, another running a word processor, and a third that has my to do list app, sometimes another depending on what I’m working on. They keep me focused. In OS X Snow Leopard, setting up spaces was easy and obvious. There was a section in System Preferences called “Spaces.” It couldn’t get more clear. OS X Lion is another story. The controls for Spaces in Lion are actually very intuitive if you know where to look… But if you don’t know, it is very difficult to find. I put together a very brief screencast demonstrating how to add & remove spaces in Lion. A very special thanks to Jason Lisnak for helping me figure out both how to add spaces, and that QuickTime allows for screencasting. Describe it in text, Why waste my time with a video? 19 seconds is too long for you? That’s too bad. Thanks for stopping by. I also will not be watching the video, even after finding out it is only 19 seconds long. This is not because I’m at work and can’t watch a video with sound, although that would be a very good reason not to, but because of how you responded to the original comment. I’m not in the habit of being polite to folks who are impolite in my comments (to me, or my readers). My home, my rules. Jan, using Mission Control will allow you to add new spaces (provided you are using Lion). It’s not the most intuitive process. thanks! 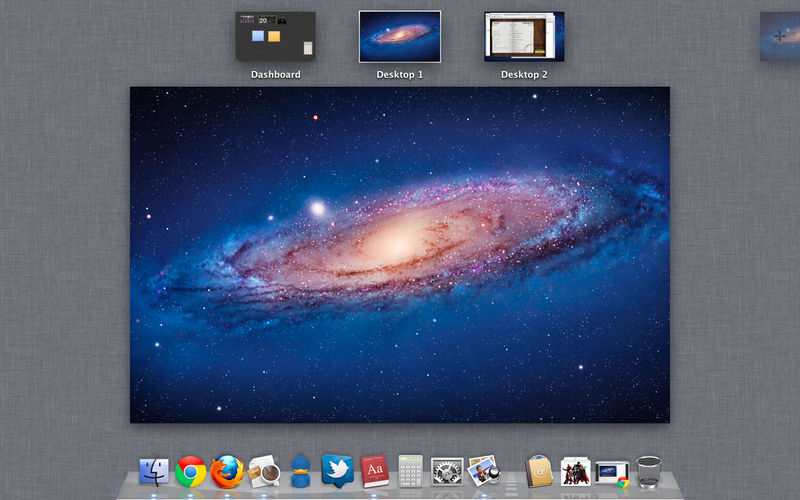 Super easy instructions and brought back my “spaces” which I love….now I just have to remember to call them “desktops”. FYI, in Mountain Lion adding spaces works the same way, BUT if you have the dock on the right like I do then the pop-up to add another space appears on the left instead of the right. Try it – switch the dock from one side to the other and the addition point moves to the opposite side, presumably so you don’t accidentally hit the dock if you have it full. Damn clever, these Mac designers. Got the directions from your video promptly, thanks for the huge help. Wanted to add this text for those not in a position to view your helpful video…. A four finger swipe up on the track pad (gesture) brings up mission control. On the screen that appears cursor over to the upper right corner of the screen and a plus sign appears. Click on the plus sign and another desktop is added. From mission control screen click and drag open apps to desktops to organize or select a desktop to make it active. Thanks again for the video David, best regards.